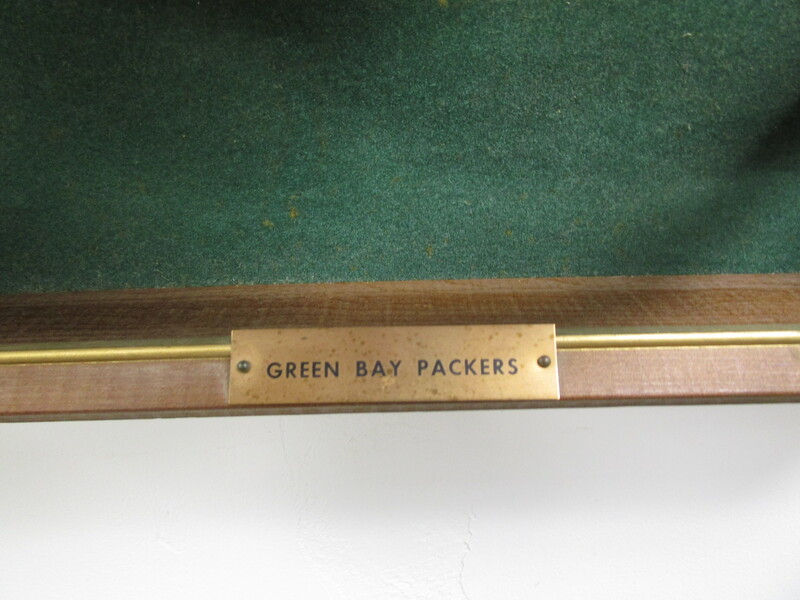 We are offering this Vintage Circa 1965-1970 Green Bay Packers Half Helmet Plaque. 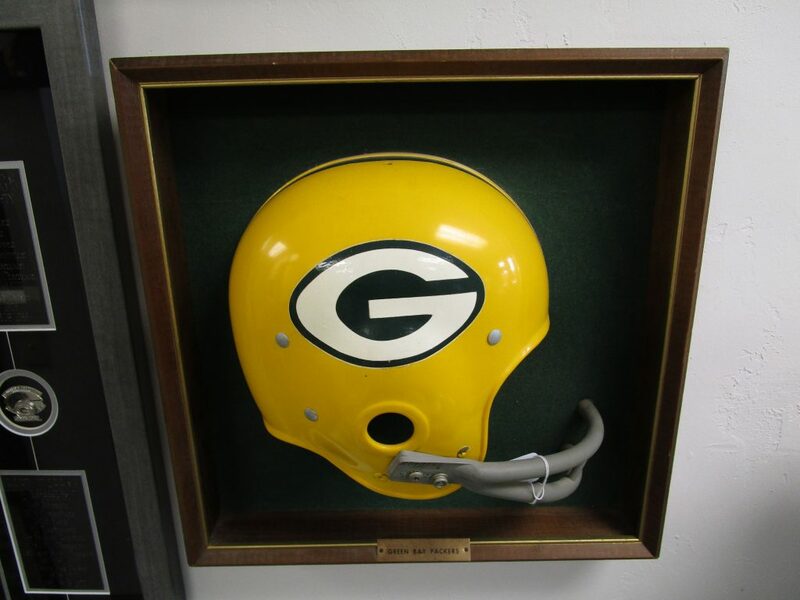 Wood Frame measures 15 1/2" square and the helmet rises up about 5" when laying on a flat surface. Excellent Clean Condition. Light wear to frame.